Amid calls for the July elections boycott, the NEC Chairman is right that even less than 30% (maybe zero) voter turnout will still be legal. Everything in Cambodia is so legalistic that it puts the rest of world to shame. It may be legal, but Hun Sen knows a low turnout will put a huge question mark over his next government. Only those who have rocks in their head will ever doubt whether Hun Sen will win the July elections. Given the 86% turnout for the 2017 commune elections, which can be one of the legitimacy benchmarks, Hun Sen must realise he has an uphill legitimacy battle on his hand. It will be an incredible legacy if he can succeed here after decimating a formidable opposition. Hence, the main challenge for Hun Sen now is to secure a high voter turnout. He has done his almost to ramp it up. His frequent rants to garment workers and new graduates have intensified and are unlikely to fizzle out between now and the elections. Never mind if factory owners cannot be impressed with extensive down-times when their workers are at Hun Sen’s monologues. And he has two more options. One is to resuscitate the CNRP for the elections. 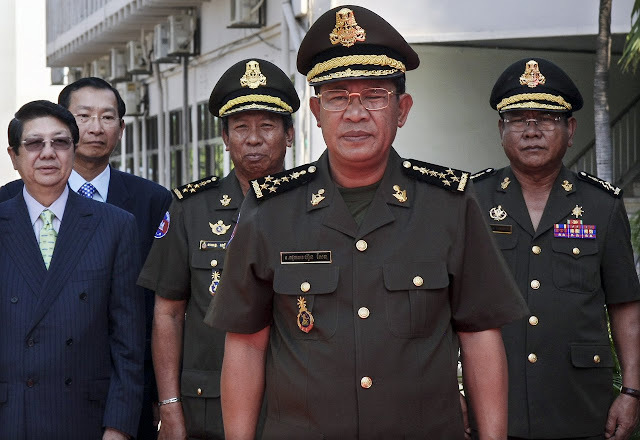 Hun Sen will need to work out an optimum timing for them to come in – not so soon that they can cause irritations, not so late that they will make no difference to the legitimacy. This option is easy because the opposition is ready to be sucked in. Sam Rainsy boasts he will need only one day before the elections to beat Hun Sen. Yet, he has not revealed a practical power grab strategy after his elections victory; he must be either ingenious in strategic planning, or naïve to expect Hun Sen to just walk away from power. Another major option is to allow voting by more than a million migrant workers and overseas Cambodians whose voting rights are already enshrined in the Constitution. With all pork-barrelling he has showered local garment workers and a planned minimum wage system for all, the migrant workers can, not only vote, but vote for him as well. Moreover, the overseas Cambodians who are keen voters can also boost the turnout. If Hun Sen is right that 90% of them are his supporters, it will be another win-win for him. Anyhow, Hun Sen has already discarded these two groups of potential turnout enhancers saying they cannot vote because of the current election laws and technicality. He might want to reconsider if these were the problems. He must know his minions in the three branches of government will piss in whatever direction he tells them to. Legal and technical hindrances have not stopped him, for instance, from dissolving his formidable opponent and re-allocating their parliamentary and commune seats to his party and elections losers. Still, the easiest option for Hun Sen is to let CNRP help for a higher turnout in the July elections that he has already won. Now it is clear why CNRP’s recent requests for a negotiation with Hun Sen end in failure every time. They have no idea what they have that they can force Hun Sen’s hand. CNRP stalwart and CNRM co-founder Eng Chhai Eang is dead right that every conflict ends only with negotiations. He is dead right again that successful negotiations require concessions from all conflicting parties – sort of gives and takes. However, when asked what CNRP can offer as concessions in a negotiation with Hun Sen, Eng Chhai Eang says they have nothing – they are just a victim suffering from Hun Sen’s wrong doings. It is not clear whether the co-founder understands his own statements on the art of negotiations and conflict resolutions. But they are lucky that Hun Sen is smarter and may decide they can be of service to him, again. This time will be to help legitimise his new government after the July elections. And it is possible that they will dive head first into an empty pool when Hun Sen invites them to the elections they are going to lose. This maniac mafia regime doesn't care how many Khmer citizen go to vote in the election day . They also doesn't care how loud the international community cries for fair and justice,they have all their injustice countries like big fake democracy Japanese administration ,soon after the election end,the result came out the Australian old Fox friend will jump up and down support it any way, that did not count the Chinese,Vietnamese or Russian administration just waiting in the back ground for full celebration of these result .Even the election have a scarcity of voters participants . The Dictator puppet administration still triumphantly declare without shame their historical victory .Khmer must learn Why this mafia and their clandestine administration members susceptible murder this nation democracy and used all vicious purge with assassination style to chased the opposition members and put them on run and hid ? It is just for one purpose only, to WIN this election without fear and worry .All challenges forces must be destroyed even they used fake news accusation .Now the election without contesting opponent was a big victory for this disgrace puppet administration .A big fan far or not the dictator don't care much about it, some thing they scare to dead is losing this election . From now on even they just receive only two or three votes count in this next election ,they can still be a winner party .